Ervin R. Stutzman is the author of a just-released work of historical fiction called Jacob’s Choice, the first in a three-novel series called Return to Northkill. 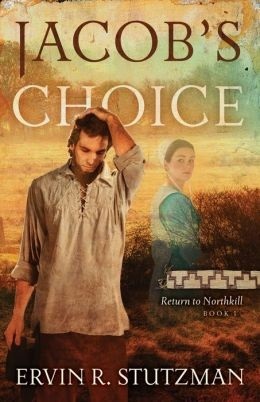 Based on actual events, Jacob’s Choice, Book 1 of the Return to Northkill series, tells the dramatic story known among Amish and Mennonites as the “Hochstetler Massacre.” Northkill was the first Amish settlement in America. Hochstetler lived beside Northkill Creek on the Pennsylvania frontier when warriors, goaded by the hostilities of the French and Indian War, attacked Hochstetler’s family in 1757. Three family members were killed and three were taken captive by the warriors. After enduring a hard winter as a prisoner in a Native American longhouse, Hochstetler makes a harrowing escape to return home to Northkill, and there he attempts to reclaim what he has lost. Hochstetler’s commitment to pacifism leads to an unrelenting search for missing family members, a complicated romance, and conflicting emotions regarding possible reconciliation. “In an era of Amish reality TV, Jacob’s Choice offers an authentic, real-life story of Amish life in early America,” notes editor Amy Gingerich. For today’s post I asked Ervin a few questions about Jacob’s Choice and the history behind it. Herald Press is giving away a copy of Jacob’s Choice to an Amish America reader. Entering the contest is simple: just leave a comment on this post. For an additional entry, share this contest on Facebook, Twitter or other social sharing site (and let me know you did with a quick email to amishamerica@gmail.com). I’ll announce the winner here on Tuesday (Feb 18). I just drew a random winner from your entries using random.org. The winner is comment #40, Christine. Email me your mailing address Christine and I’ll pass it to the publisher so you can get your book. If you didn’t win, you can find Jacob’s Choice at various outlets including mennomedia.org. Amish America: Can you tell us a little bit about yourself? 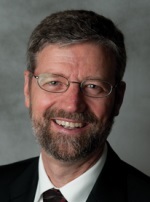 Ervin Stutzman: I am the Executive Director for Mennonite Church USA. Before taking on this role in January 2010, I served for nearly 10 years as Dean and Professor of Church Ministries at Eastern Mennonite Seminary, Harrisonburg, Va. I have also served the Mennonite Church in the roles of pastor, district overseer, missions administrator, conference moderator and, from 2001 to 2003, as moderator for Mennonite Church USA. I graduated with a bachelor’s degree from Cincinnati (Ohio) Christian University. I hold master’s degrees from the University of Cincinnati and Eastern Mennonite Seminary. I received my Ph.D. from Temple University. I was born as a twin into an Amish home in Kalona, Iowa. After my father’s death a few years later, my mother moved our family to her home community near Hutchinson, Kan. I was baptized in the Center Amish Mennonite Church near the small town of Partridge. Later, I joined the Yoder Mennonite Church. I married Bonita Haldeman of Manheim, Pa. Together we served for five years with Rosedale Mennonite Missions in Cincinnati, part of that time in voluntary service. I was ordained to serve as co-pastor of Mennonite Christian Assembly. From there, we moved to Pennsylvania, where we were members of the Mount Joy Mennonite Church. We currently live in Harrisonburg, Va., and are members of Park View Mennonite Church. I am a preacher, teacher and a writer for Herald Press. My early publications include Being God’s People, a study for new believers, Creating Communities of the Kingdom (co-authored with David Shenk), Welcome!, a book encouraging the church to welcome new members. My two books of family history are Tobias of the Amish, a story of my father’s life and community, and Emma, A Widow Among the Amish, the story of my mother. My latest publications include a scholarly study of the church’s conversation about peace, called From Nonresistance to Justice: The Transformation of Mennonite Church Peace Rhetoric 1908-2008 (2011), and Jacob’s Choice (2014), a historical novel about an early immigrant ancestor. I enjoy doing woodworking projects in partnership with Bonita. We have three adult children—Emma, Daniel and Benjamin—and are the grandparents of Eva and Felix. Ervin Stutzman: I’ve been interested in the story of my Hochstetler ancestor for many years. About five years ago I decided I wanted to write a historical novel about it. I hope the novel will appeal to the many modern readers of Amish fiction who have little knowledge of Amish pacifist convictions. They’re missing much of the essence of Amish belief and practice. Yours is the second book coming out on this topic which I’m aware of. Why do you think there is interest in this story now? Is there something about it which is applicable to today’s times? Ervin Stutzman: Actually, mine is the first, in that it was released on February 8, and the other one won’t be released until March. However, there have been many articles and short stories that have told the story over the last hundred years. The core of the story is very familiar to the Amish. There is also a renewed interest in the interaction between Native Americans and colonial settlers. Several recent scholarly books have explored that topic. How do those in Anabaptist churches regard the story of the Hochstetler Massacre? Ervin Stutzman: Although the primary event in the narrative has often been referred to as “the Hochstetler Massacre,” today’s sensitivities beg for a softening of that language. I have chosen to simply call it an attack. There were indeed many massacres during the French and Indian war, larger-scale hate killings perpetrated by European whites as well as Native Americans. One of the most egregious was the massacre of the peace-loving Conestoga Indians by the Paxton Boys in December 1763. The story has served the Anabaptist churches as a lesson in moral courage under test, or faith under trial. It may also have led to some self-congratulation along the way, since it makes heroes out of the white Amish settlers. I wrote Jacob’s Choice—the first novel in the Return to Northkill series—from the viewpoints of Jacob and his daughter Barbara. Although their Anabaptist understanding of Native Americans was considerably more compassionate than that of many of the Pennsylvania settlers, they did not have the deep concerns about justice for Native Americans that many of us do today. Descriptions of the “red man,” “natives,” and “braves,” as well as other characterizations of Native Americans contained in the novel, reflect the common preconceptions and prejudices of the colonial era. This novel would be very different if it had been narrated from a Native American point of view. The next two novels in this series will more fully explore the Native American perspective. Readers who wish to explore Native American issues from a contemporary justice perspective may benefit from reading the series of essays in Buffalo Shout, Salmon Cry: Conversations on Creation, Land Justice, and Life Together (Herald Press, 2013). When you’re writing a work of historical fiction, how much is research, how much is re-creation? Ervin Stutzman: I did a significant amount of research for the book, both in the Amish life of Jacob Hochstetler, as well as the Native American life during the French and Indian War in the 1750s. As much as possible, I used the known names of the people in this story. I used my imagination to put the flesh of this story on the bones of known facts to create a plausible account of what may have happened. For me, it was very important that every incident in the story could well have happened just the way I described it. As a way of documenting my findings and to show the historical basis for my novel, I produced an expanded version of Jacob’s Choice with 90 extra pages. That version contains photographs, maps, endnotes, genealogical charts, an early historical account and a list of references. How much do we actually know about Jacob Hochstetler and his family? Ervin Stutzman: In the expanded version of Jacob’s Choice, I refer to the three basic sources which provide most of what we know about Jacob and his family. The first is the historical account given by William Hochstetler as part of Harvey Hostetler’s two large volumes—Descendants of Jacob Hochstetler and Descendants of Barbara Hochstedler and Christian Stutzman. The second is Beth Hostetler Mark’s book, Our Flesh and Blood: A Documentary History of The Jacob Hostetler Family During the French and Indian War Period 1757-1765. Third Edition, published by the Jacob Hochstetler Family Association, Inc. Elkhart, Indiana, in 2003. She provides commentary on quite a number of archival sources, some of which provide corrections to the account in Hostetler’s account. The Jacob Hochstetler Family Association also publishes a quarterly newsletter which contains articles featuring research into the life of Jacob Hochstetler or his descendants. Thanks to Ervin for taking the time to share with us today. Jacob’s Choice is available at mennomedia.org, among other other online and bricks-and-mortar sources. About the Amish way of life, the history and the beliefs. The story somehat mirrors escapes from Indian captivity here in West Virginia. I’ve heard bits and pieces of this story and think your retelling would be fascinating to read. I would like to get this book. If I do, I will pass it on to others. I am very interested in this story. It’s very hard to find accurate information about the earliest Amish settlers in Berks and Lancaster Counties. Thank you for offering the giveaway — I’d love to be chosen. Would love to get this book. Sounds very interesting. I am a history buff and I tend to read everything I find about the Amish. I am glad to have found thisweb site, and have spent the last two days reading it. I had never heard the story of the “Hochtetler Massacre. I would love to read this story. Thanks to all who entered, just updated this post with the winner (see the Jacob’s Choice Giveaway section above, and congratulations Christine). Thank you so much for selecting my name. There are a lot of books written about the Hochstetler massacre, also if you google it you can find this story on the internet. Thank you Dr. Stutzman and Marcus Yoder. I have ordered the Jacob’s Choice novel, and I will check out your suggestions to learn more about the story. My first “boyfriend” was a Hostutler. He wasn’t Amish, but that may have been because there were no Amish anywhere near our homes in West Virginia. My Scots-Irish nosieness ask him where his ancestors came from, and what did the name Hostutler mean, and he told me it meant they were good with horses. I will follow your lead about the web pages and learn all about the Hochestetlers and where they came from. Jacob Hochstetler came from Sainte-marie-aux-mines, France. He wa born in 1712 and died in Lebanon county, Pa. in 1776. Another book for my list of “to-read” in the future. I obviously saw this posting too late to enter the contest, but I appreciate the interview and learning more about the massacre and early Amish/Mennonite travails in this country. Eric did you get my address? I emailed to you. Christine, sorry I did not reply to your email, I did get your address and passed it on to the publisher, I expect you’ll be getting the book soon if you haven’t already. My husband read it in one day. Told him not to tell me about it. I got to read this book this past week finally.. fantastic book and Im so glad to read it. I hated to have to put it down when it was time to sleep.. it was great to keep you wanting more too.. Looking forward to the next!! That’s good to hear Kim, thanks for sharing you’d read it. I like the historical setting of this story. I’d be curious to hear feedback from Amish readers of this and Northkill, I’m sure there will be a healthy handful.